CHARLOTTE, NC – FOX Sports is adding a pair of young Wednesday night dirt racers and past Eldora Speedway winners to its broadcast team at Tony Stewart’s half-mile dirt track in Ohio. 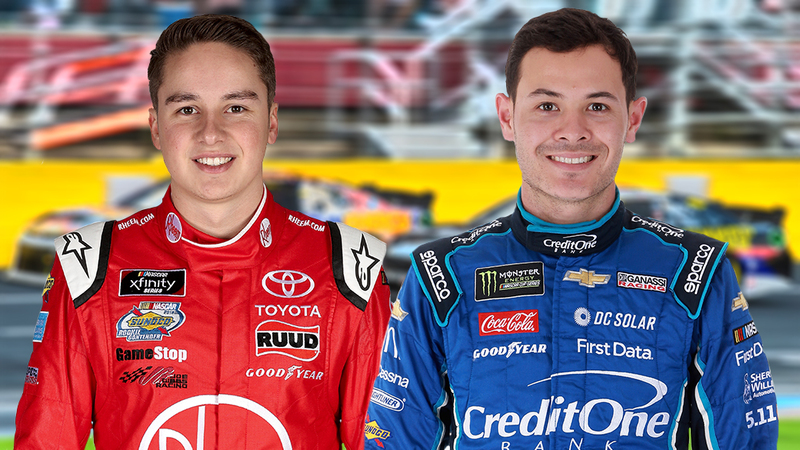 Bell and Larson join a star-packed roster of NASCAR drivers who have served as driver analysts in the FOX Sports booth since 2015. 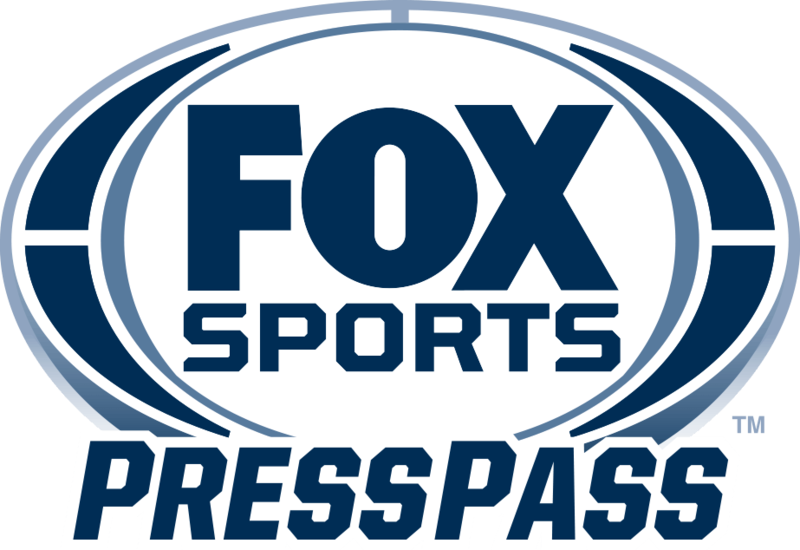 For four consecutive seasons, FOX Sports has opened its NASCAR XFINITY SERIES analyst chair to active MONSTER ENERGY NASCAR CUP SERIES drivers, including for the 2017 and 2018 “Drivers Only” broadcasts, held at Pocono Raceway and Talladega Superspeedway, respectively. In addition, several drivers routinely serve as analysts on FS1’s NASCAR RACE HUB. Colorado Springs, Colo. – Following a dramatic 2018 U.S. Open Championship at Shinnecock Hills, culminating in the first championship defense in nearly 30 years by 2017 U.S. Open Champion Brooks Koepka, the FOX Sports golf team heads west to another iconic venue for the 39th U.S. Senior Open Championship at The Broadmoor’s East Course in Colorado Springs, Colo. Preview coverage begins today with WEDNESDAY AT THE U.S. SENIOR OPEN from 12:00 to 1:00 PM ET on FS2, with live television coverage beginning on Thursday, June 28 from 4:00 to 9:00 PM ET on FS1. On Friday, June 29, second round action airs on FS1 from 3:30 to 8:30 PM ET, while coverage of the third and final rounds airs from 4:00 to 9:00 PM ET on Saturday, June 30 and Sunday, July 1 on FS1. On Thursday and Friday, early “bonus” coverage from the first and second rounds airs on usga.org, featuring a unique live stream that features only sounds from the on-course action. All of FOX Sports’ linear coverage is live streamed concurrently on the FOX Sports App, and all four rounds are also supplemented by a separate featured groups stream. Lead analyst Paul Azinger anchors the 18th Tower throughout the championship, alongside analyst Brad Faxon and play-by-play Shane Bacon for weekday competition, and seven-time Emmy Award-winning announcer Joe Buck for the third and final rounds. On the course, reporting duties are performed by two-time U.S. Open winner Curtis Strange, four-time European Tour winner Ken Brown and PGA Tour veteran Brett Quigley. Holly Sonders conducts interviews and former USGA Executive Director David Fay provides rules analysis. Bonus coverage will be hosted by Ned Michaels, who also serves as play-by-play announcer for each afternoon’s featured groups stream, with analyst Michael Breed and on-course reporter Nicole Castrale. “It just feels like something is happening now. It’s taken them three games to get there, but it’s only going to be brilliant for the tournament. “We saw night and day, from the first game to this game, Argentina team played with intensity and good quality. 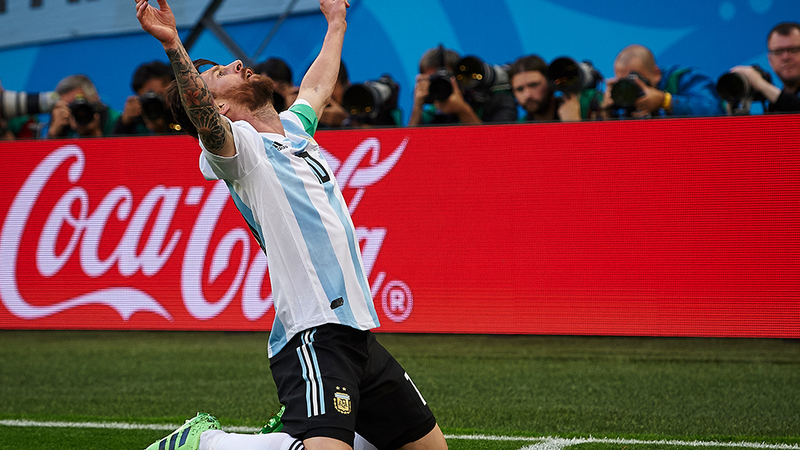 Mascherano was fighting in the midfield, winning stuff, getting second balls – that’s what you expect from Argentina, and then you get the ball forward to people like Messi. “Fans make this World Cup – the jerseys, the hats, the scarves, the face paint, the passion. “An experience at a World Cup is so much more than the actual games and the actual scores. It’s the people that you meet, especially people from different cultures. “Another poor performance. They have a lot of action going on, but in the end, nothing happens. “If I had to grade VAR in this tournament, I’d give it an A-. Just because you disagree with a decision doesn’t mean VAR isn’t working. “You can’t say they don’t deserve it after the first two games. The game plan was to allow them to have it and when there is a moment of hesitation or a sloppy pass, you go for the jugular. "It's not impossible, but we have to be conscious that there are teams stronger than ours." “There’s a lot of pressure on this team, but they can’t control the press – the media circus that’s around them. All they can do is control their own individual performances. Yeah, Messi is the best player in the world – he needs to bring it. It’s time for him to deliver. “The talent they have at their disposal has to do better. “It’s been wonderful to see, and I think it just shows the power of this tournament and the power of this sport, that it can turn people so quickly – an entire nation. 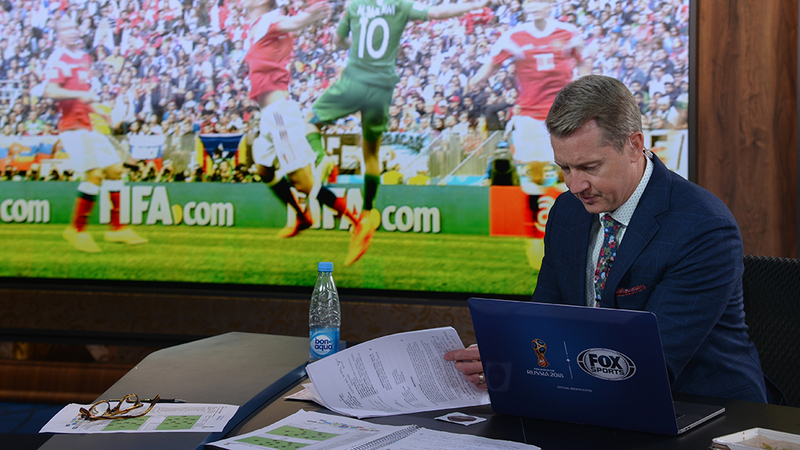 FOX Sports recorded its two most-watched days of the 2018 FIFA World Cup™ over the weekend with average viewership of 3,875,000 on Saturday and 3,158,000 on Sunday. Up +20% over the 2010 World Cup Group Stage average, played in a comparable time zone, excluding U.S. matches. On Sunday, Colombia’s 3-0 win over Poland was the most-watched match of the day and drew 4,555,000 viewers on the FOX broadcast network and FOX streaming sources. With 4,384,000 viewers tuning in on FOX alone, the match is up +135% over the 2010 Group Stage average, excluding U.S. matches, and up +69% over the 2014 Group Stage average, excluding U.S. matches. 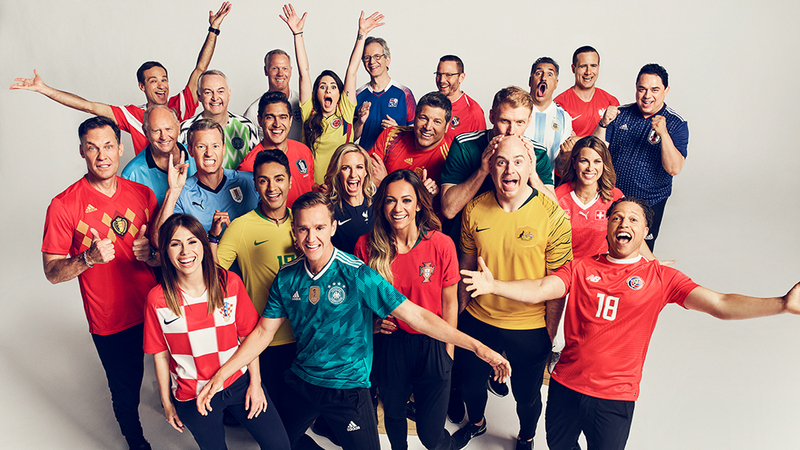 2018 FIFA World Cup™ matches now account for FOX’s five most-watched non-U.S. soccer telecasts ever. Click HERE for Sunday’s digital highlights. NEW YORK – Big Papi is back! 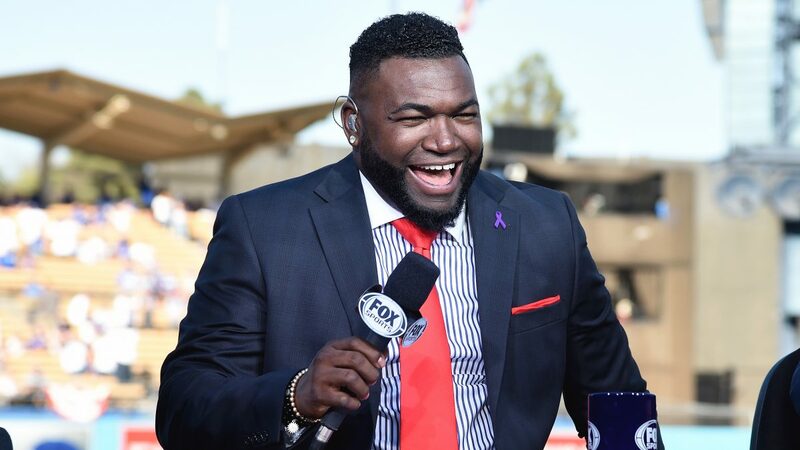 Three-time World Series Champion, World Series MVP presented by Chevrolet and ten-time MLB All-Star, David Ortiz appears on FOX Sports as studio analyst for the network’s pregame and postgame coverage, signing a multi-year deal. The announcement was made today by John Entz, FOX Sports President of Production & Executive Producer. Ortiz contributed as studio analyst throughout FOX Sports’ coverage of the 2017 postseason and will again be alongside first ballot Hall-of-Famer Frank Thomas, World Series Champion Alex Rodriguez and Emmy-nominated host Kevin Burkhardt. MLB on FOX, the Postseason won in the category of Outstanding Studio Show – Limited Run at the 2017 Sports Emmy awards. Ortiz will contribute to FOX Sports’ spring training, regular season, All-Star Game, postseason and World Series coverage. He makes his 2018 debut during the network’s coverage of the 89th All-Star Game presented by Mastercard from Nationals Park in Washington, DC. “I had a lot of fun working for FOX Sports during the postseason last year and am pumped up to get back in the studio with Kevin, Alex, Frank and our leader behind-the-scenes, coordinating producer Bardia Shah-Rais,” said Ortiz. Ortiz entered the league in 1992 with the Seattle Mariners before he was acquired by the Minnesota Twins in 1997. With six seasons under his belt, the Twins released Ortiz in 2003. Shortly after, the slugger signed with the Boston Red Sox, where he had a breakout year as a designated hitter. “Big Papi” remained in “Beantown” for the rest of his professional career, serving as a driving force in the 2004, 2007 and 2013 World Series Championships. Averaging a .688 with seven runs scored, Ortiz also earned the 2013 World Series MVP title. The 10-time All-Star and seven-time Silver Slugger retired at the end of the 2016 season with 541 home runs, 2,472 hits and 1,768 RBIs. As a tribute to his success under their organization, the Red Sox retired Ortiz’s jersey (No. 34) in 2017. What a ball by James! What a finish by Yerry Mina! “I think that they’re flying right now. I think that they’re confident. I think that they came into this tournament with something to prove. “There was confusion; there was movement; there were bodies. Senegal do what they do best – they put you under pressure. “There’s a pass with a purpose. “They’ve surprised me a little bit. You can just see the team spirit and chemistry with the dancing – I want to be a part of that. 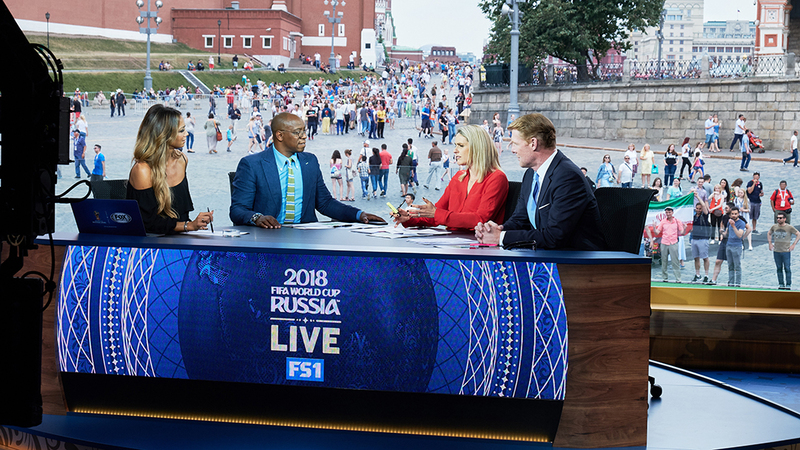 NEW YORK & MOSCOW – FOX Sports recorded its most-watched FIFA World Cup™ day to date for the 2018 tournament, with three Saturday matches averaging nearly four million viewers (3,875,000). Leading the day, the dramatic Germany-Sweden Group Stage match won by Germany, on a stunning stoppage-time goal from Toni Kroos, scored 5,397,000 viewers according to Nielsen Media Research. 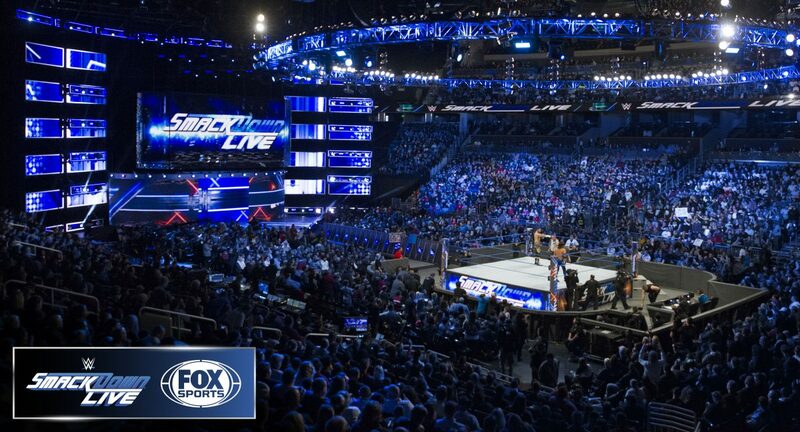 Including streaming, the match drew 5,636,000 viewers. Peaking at 6,736,000 viewers, the German victory was the most-watched non-U.S. Men’s World Cup Group Stage match on English-language television since at least 1990. Match viewership was up +108% from the 2014 World Cup Group Stage average, excluding U.S. matches (2,592,000) and up +189% from the 2010 World Cup Group Stage average, excluding U.S. matches (1,868,000). 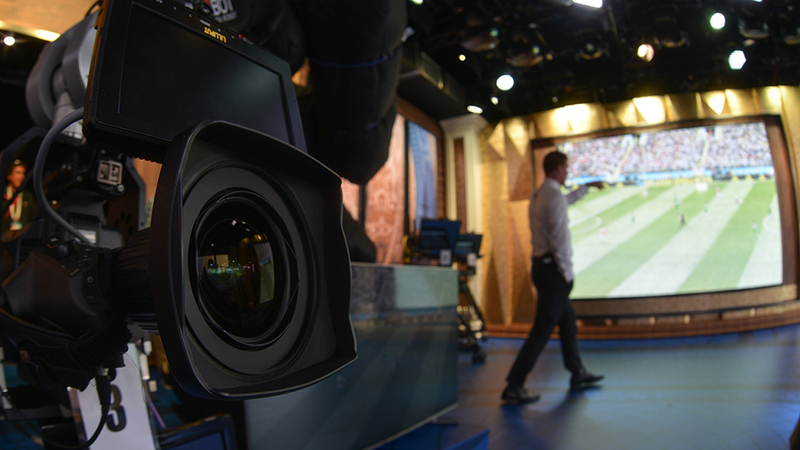 In addition, Germany-Sweden was the most-watched English-Language soccer telecast since the FIFA Women’s World Cup Final™ on FOX (22,317,000 on FOX alone for the full telecast). In other matches Saturday, Mexico beat Korea Republic, 2-1, delivering 4,646,000 viewers across FOX Sports platforms (4,433,000 on linear television), the second-most-watched match of this year’s tournament on FOX or FS1. Belgium routed Tunisia 5-2 in the early morning match of the day, delivering an average of 1,951,000 viewers, making it the most-watched early morning match of the 2018 tournament to date. FOX NASCAR presented seven-time champion Jimmie Johnson with the fourth-annual “The Byrnsie Award” during Sunday’s NASCAR RACEDAY pre-race telecast from Sonoma Raceway on FS1. In honor of late FOX NASCAR broadcaster Steve Byrnes, whose nickname was ‘Byrnsie,’ the award was established to celebrate an individual in the MONSTER ENERGY NASCAR CUP SERIES who embodies principles Byrnes demonstrated daily in his personal and professional life — preparation, teamwork and family within the garage area. Johnson was voted the recipient by Byrnes’ colleagues on the FOX NASCAR broadcast team, of which he was a member since the first race broadcast in February 2001. Byrnes passed away in April 2015 following a courageous battle with cancer. Johnson is the first driver to be honored with Byrnes’ namesake award, which historically has gone to a crew member. Crew chief Rodney Childers won the inaugural award in 2015, spotter Chris Osborne in 2016 and crew chief Tony Gibson in 2017. Byrnes’ son, Bryson Byrnes, introduced the award on-camera from the NASCAR RACE HUB studios in Charlotte, N.C. While FOX NASCAR’s 2018 MONSTER ENERGY NASCAR CUP SERIES race coverage concludes this weekend, live coverage of the entire NASCAR CAMPING WORLD TRUCK SERIES schedule continues through the end of the season. During the week, FS1’s NASCAR RACE HUB, NASCAR’s most-watched daily news and information program, continues throughout the season Mondays through Thursdays at 6:00 PM ET.